Tech launches into a full out battle cry on the opening to All 6’s And 7’s. “Technicians” is a call to arms to all of his loyal fans who have stuck with him for so long. Those are just a few things that make up a Technician. Krizz Kaliko makes his first appearance on All 6’s And 7’s to drop his famous vocals on the hook. The song’s constant change in melody and pitch gives Tech reason to break out some of his more unique flows. 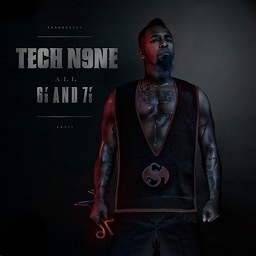 From the opening to the end of the track, “Technicians” sets the tone for the rest of the album, which turns out to be a very different Tech N9ne release. In an effort to separate the real from the fake, Tech denounces anyone coming into this world with other intentions. In the face of criticism from fans, Tech brings it all back to where it started from.